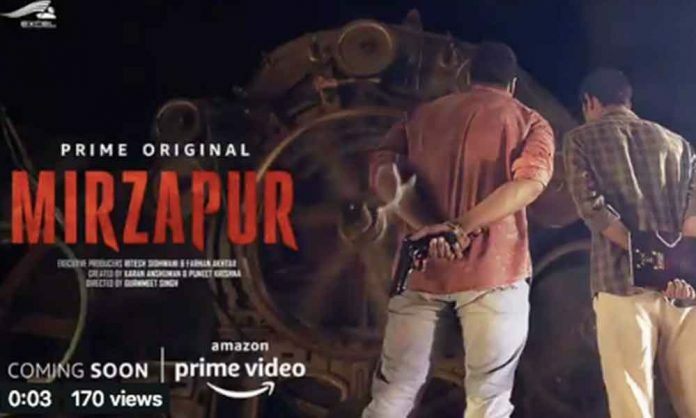 Shot in the heartland of Purvanchal, Amazon Prime Video and Excel Media and Entertainment’s Mirzapur has a real life connect with the region. Pankaj Tripathi aka Kaleen Bhaiya and Ali Fazal aka Guddu Pandit, two of the most crucial characters of Mirzapur have their roots tracing back from Purvanchal. Both the actors hail from Purvanchal where the series was extensively shot. It was quite exciting for Pankaj Tripathi and Ali Fazal to shoot in their own regions from where they belong to. Mirzapur, A lawless land filled with moments of heart-pounding action where the only rules are laid by none other than Kaleen Bhaiya aka Pankaj Tripathi. The recently released trailer showcases the journey of two brothers lured by the idea of power only to get consumed by it, Mirzapur is an amped-up portrayal of India’s heartland and youth. It’s a world replete with drugs, guns, and lawlessness, where caste, power, egos and tempers intersect and violence is the only way of life. The thrilling and gripping crime drama stars an ensemble cast of Pankaj Tripathi, Ali Fazal, Vikrant Massey, Divyendu Sharma, Kulbhushan Kharbanda, Shweta Tripathi, Shriya Pilgaonkar, Rasika Dugal, Harshita Gaur, and Amit Sial promising a powerhouse of talent in the same frame. Next articleKGF To Launch The Trailer At A Massive Event!